Hayley Court was gutted by fire four years ago. Now, the new building has been recognized as an excellent example of urban design in Ottawa. When Jessie Smith was tapped with rebuilding an Ottawa Community Housing rowhouse destroyed by fire in 2013, she wanted to do it with the tenants' interests top of mind. Four years later, Smith and her firm, CSV Architects, have been recognized for the $4-million project — alongside much higher-profile undertakings like the National Arts Centre redesign and the Bank of Canada renovations — with a City of Ottawa urban design award. The awards were handed out Tuesday night. "Often when we're competing at a national level, it's very hard to compete with some of the projects, especially out of Toronto," said Smith, during a tour of the facility Friday morning. "So it's important that Ottawa has its own awards for architecture, to recognize good design, not only aesthetically, but in terms of giving residents nice places to live." The fast-moving fire broke out at the Hayley Court housing complex early one morning in September 2013, leaving 35 tenants temporarily homeless. Damage was estimated at $1 million, and the building was condemned not long afterwards. 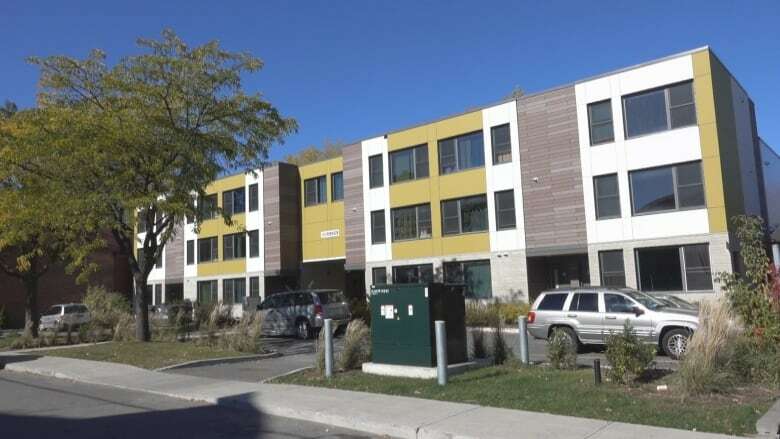 Smith said the 16 apartment units all have wide windows, heated floors, and external entrances rather than a communal lobby, giving the residents the sense that "they have their own place." The firm created additional green space in front of the Robinson Avenue building, Smith said, and also was able to preserve two trees that survived the fire. The parking lot — which was where the fire broke out — has been moved away from tenants' balconies, said Smith. They were also able to use the building's original foundations to keep costs down, she added. "It was really nice to be recognized, and to see that the city recognizes projects with lower budgets," said Smith. "Not everyone has the budgets of the National Arts Centre."